Cornell Law School, J.D. 1982. York; Second and other Federal Circuits. David Howe offers a broad range of experience in business litigation. David has litigated hundreds of court cases and arbitrations on behalf of clients such as multinational corporations, mid-sized and small businesses (both domestic and foreign), not-for-profit and educational institutions, individuals, and decedents' estates, both as plaintiffs and defendants. His cases have involved a wide range of subjects including contract disputes, antitrust, international trade, securities fraud, RICO, commercial real estate, art and auction law, employment law (including non-compete agreements) and insurance law. David has represented a large number of non-U.S. businesses and their U.S. affiliates. 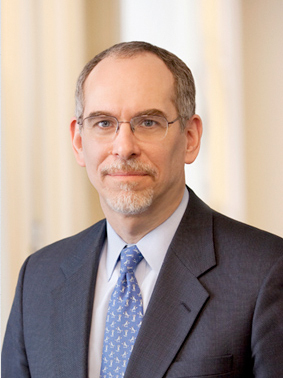 His experience in international litigation includes cases involving personal jurisdiction, choice of law, forum non conveniens, the Federal Arbitration Act, the New York Convention, the Hague Conventions (service of process and gathering evidence abroad), the Foreign Sovereign Immunities Act, and the international enforcement of judgments. He has been involved in a variety of contested proceedings outside of the U.S.
David also counsels clients on commercial and contract issues, government and internal investigations, employment relations, and the non-litigated resolution of disputes. Prior to forming Livingston Howe LLP, David was a partner for a total of 18 years at Gilbert, Segall and Young LLP and Holland & Knight LLP, and had a solo law practice. He has lectured on American law at the University of Helsinki and the University of Lapland (Finland). He is a Trustee of The Children's Village and is the President of the Board of Education of the Greenburgh Eleven Union Free School District in Dobbs Ferry, New York. Represented the purchaser of a hotel project in Manhattan in litigation involving breaches of the contract of sale, including motions for emergency relief. Represented retail store owners in federal court in a dispute with a software vendor over the theft of customers' credit card data. Represented a partner in a real estate venture seeking disclosure of financial data from the managing partner. Represent a N.Y.-based auction house in a variety of litigated and negotiated matters, such as disputes over the provenance or authenticity of items sold at auction, as well as employment matters. Defended a U.K. brokerage house from fraud claims asserted in N.Y., including successful litigation of a personal jurisdiction defense. Represent Nokia Corporation a long-running, complex fraud action involving a Turkish cellular service provider (see Nokia Corp. v. Uzan, 425 F.3d 1005 (2d Cir. 2005); Motorola Credit Corp. v. Uzan, 561 F.3d 123 (2d Cir. 2009)). Represent a foreign bank in a dispute involving wire transfer funds seized under OFAC regulations. Represent a foreign bankruptcy trustee in discovery matters pending in U.S. courts. Represent both employers and employees in a variety of employment-related disputes, including disputes regarding terminations, breach of contract and bonus claims, both in court and before arbitral bodies, including FINRA. Represented an on-line vendor in a dispute with a former senior employee regarding post-employment unfair competition. Acted as counsel to a college faculty committee in protracted internal hearings and related litigation concerning the termination of a tenured faculty member for plagiarism. Lead counsel for plaintiff, decedent's estate, in a landmark case in which the court upheld allegations that a stranger-owned life insurance ("SOLI") transaction violated the New York Insurance Law. Life Product Clearing LLC v. Angel, 530 F.Supp.2d 646 (S.D.N.Y. 2008). Represented an inventor in a dispute with a licensee; successfully compelled non-signatories to the license agreement (who were affiliates of the named licensee) to arbitrate, on the ground that they had derived direct benefits from the license agreement. In re SSL International, LLC (Langer, Inc. v. Zook), 843 N.Y.S.2d 264 (App. Div. 1st Dep't 2007). Represented a publicly-traded corporate borrower in several related actions involving a series of convertible promissory notes. Represented a large Swiss insurer in putative class actions filed in the federal court in New York by Holocaust survivors and their families, including extensive motion practice regarding forum non convenience and other procedural issues, as well as negotiating the client's participation in a claims resolution facility.